Prospect Denizens of the Tower !! I bring you a cave map. 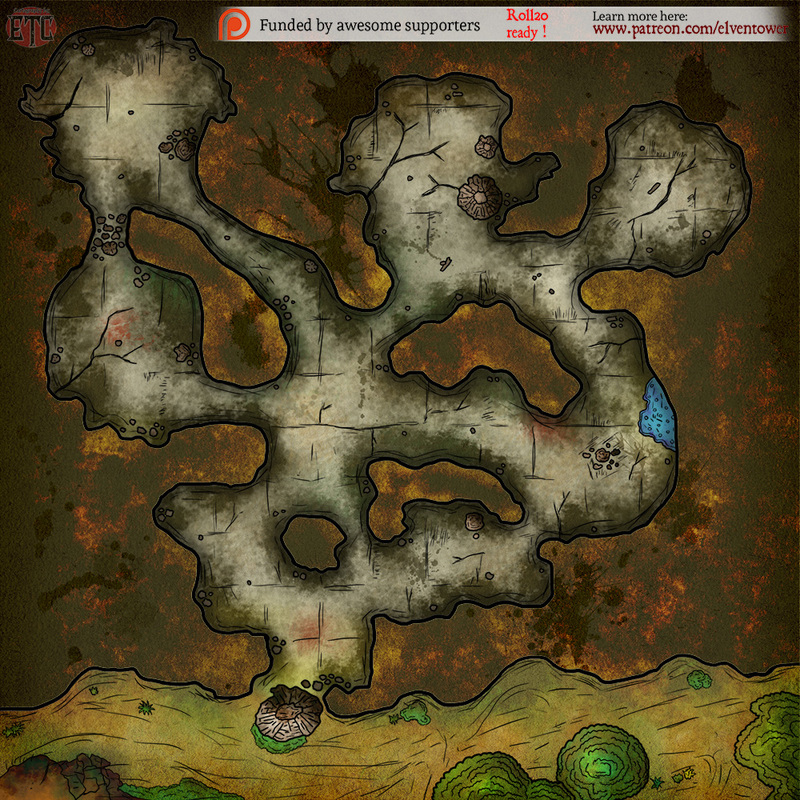 It is a generic mini dungeon crawl appropriate for any kind of natural monster and some other oddities. It would also work as lair for things like goblins, orcs, yuan-ti or similar. 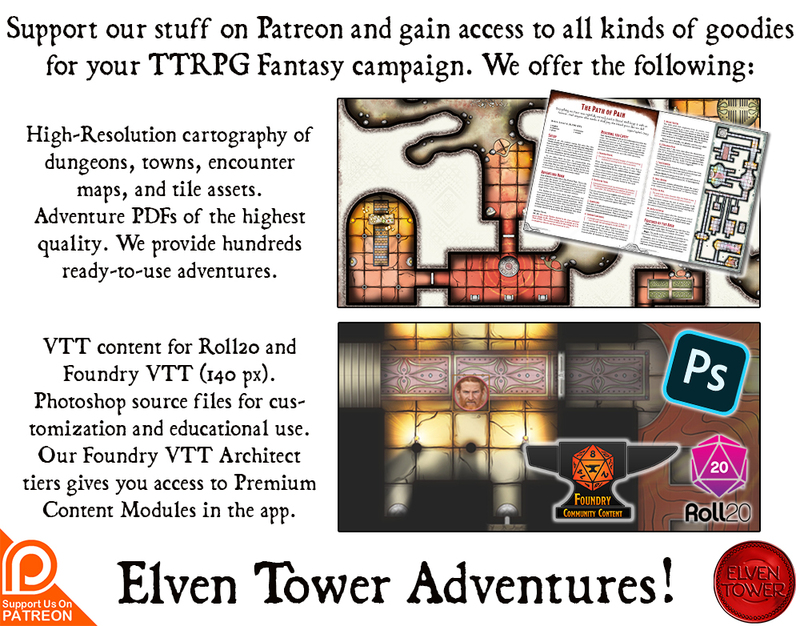 It’s optimized for use in Roll20. It’s a 15×15 image (dpi 72). I have attached several versions. There’s with and without grid, in case you want to readjust. And also a printer friendly version as always (this is for Patreon supporters). 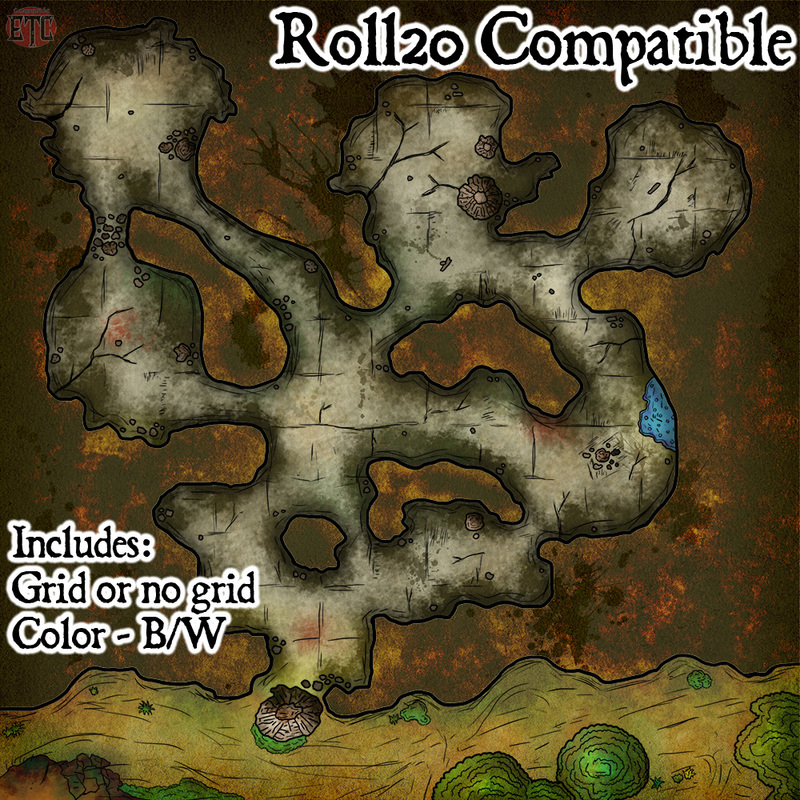 This follows my current objective of producing roll20 compatible material. Soon I’ll start working on a modular dungeon pack. Although i’m still getting around to deciding how exactly I can do that.